About Us | Crystal Coast NC Rentals | Surfside Realty, Inc.Surfside Realty, Inc.About Us | Crystal Coast NC Rentals | Surfside Realty, Inc.
SurfSide Realty, Inc. has been helping families find their piece of the Crystal Coast for over 30 years. From vacation rentals to long term leases, buying and selling, we enjoy matching the family to the right place. 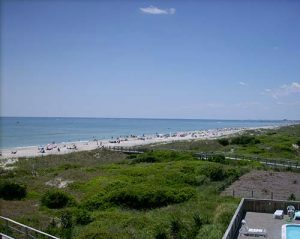 SurfSide Realty, Inc. specializes in SeaSpray, Southwinds, Tar Landing and Atlantic Beach vacation rentals. Over the years, we have branched out and also manage numerous long term rentals in the area. In 2005, Anne Marie moved back home to help her mother, Pat Foster, with the business. SurfSide Realty, Inc. then started representing both buyers and sellers in Crystal Coast Real Estate transactions. Whether it is an island home, a house on the mainland, or a vacation place, SurfSide Realty, Inc. focuses on finding just the right property for each client. In 2017, Anne Marie’s father, Jimmie Foster (Jim), passed away. Pat and Jimmie started Foster Rentals over 30 years ago. When he passed, Jim’s partner, Steve Harrell, allowed Anne Marie to continue on the tradition. Anne Marie feels blessed to carry on the tradition that her parents started over 30 years ago.